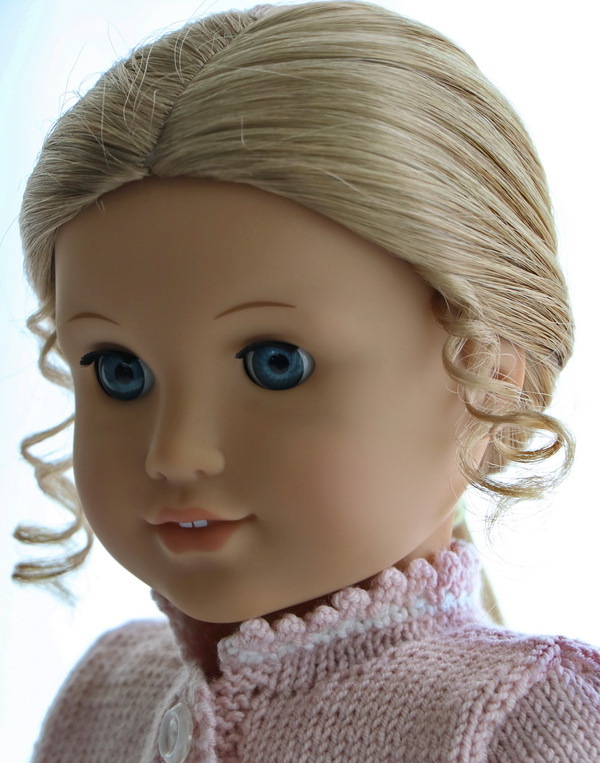 I hope you will love to get a beautiful dress with accessories for your doll this time. 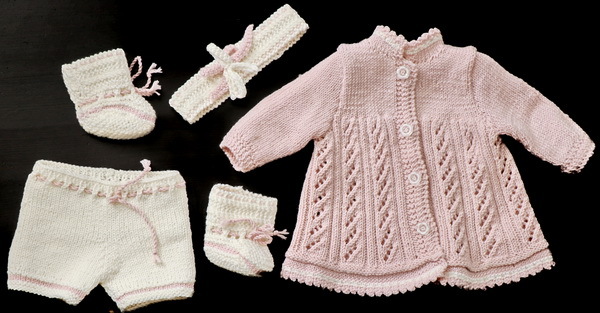 The clothes are knitted in Thin Merino Wool from Sandnesgarn. I like using this yarn even more. 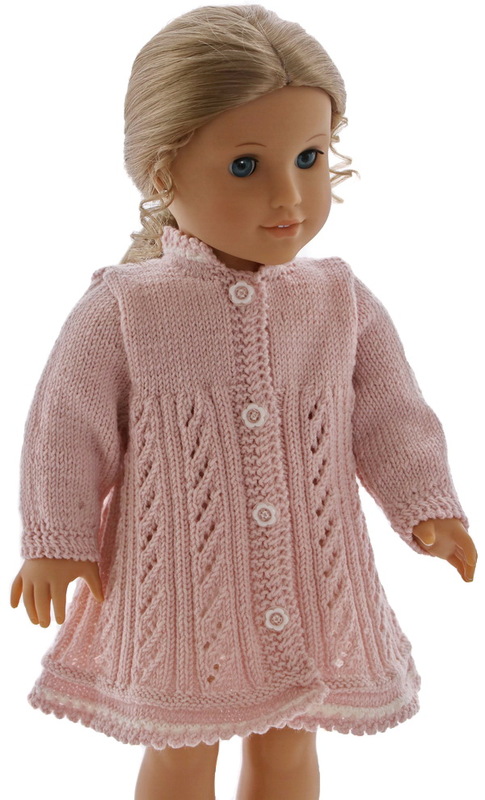 Soft and beautiful in knitting doll clothes. You can use any 3-ply yarn. I began knitting the dress. The dress is buttoned front with small white blower buttons. The skirt has an old pattern and the front band have a little cable between garter sts. The cable is knitted over 2 sts knitted the 2nd sts before the 1st sts every second row. When the dress was knitted I knitted up the sts along the inside of the dress along the first ridge and knitted some rows st st before casting off sts. Then I crocheted a row with dc in white across the edge. At last, I use pink and crocheted a row of picots back. 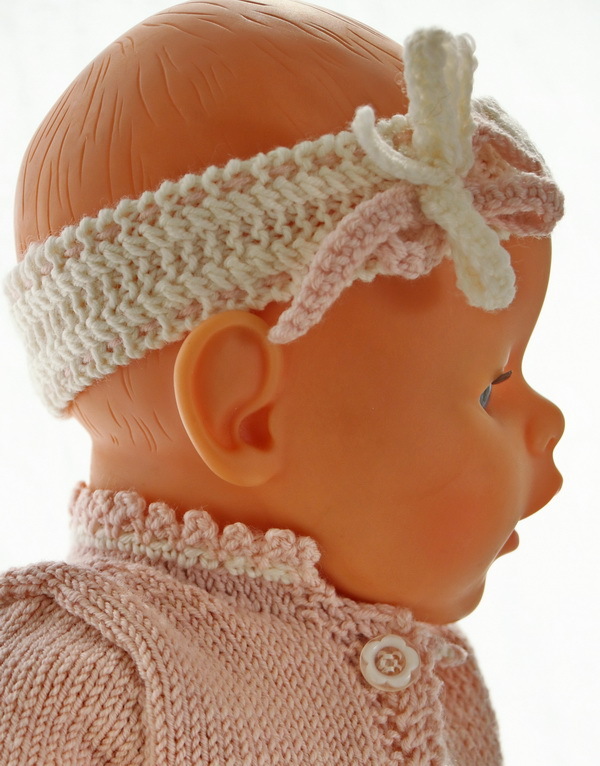 The neckband has the same crocheted edge. I believe you will find the dress beautiful on the doll. The pants are knitted in white with a pink stipe around the legs. The pants have a chord in pink around the waist and are hold together front in a bow. 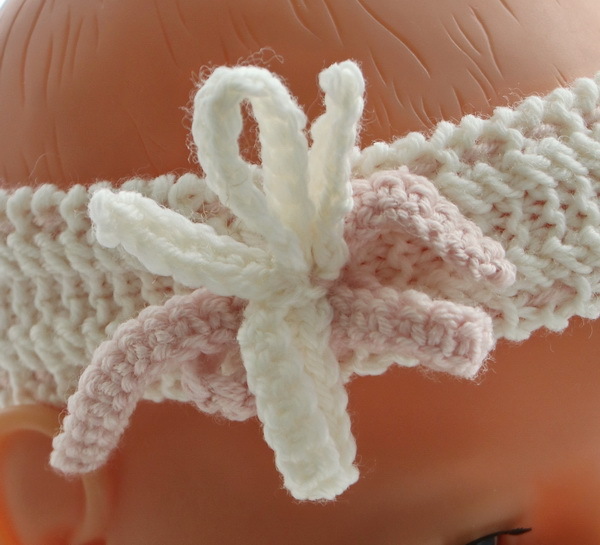 The hairband is knitted over 10 sts. It has garter sts at each side of 2 small cables knitted over 2 sts. The cables are the same as the cable on the front band. Then I crochet two chords, ironed them and formed them to bows before sewing them to the hairband. At last, I tacked a row with small sts in pink along each side of the hairband. A nice hairband together with this dress. At last, I knitted a pair of socks. First, I knitted the edge similar to the hairband over 10 sts 64 rows. Then I knitted up 32 sts along the edge and knitted the socks. The socks have a pink stripe around the sole and a pink chord pulled through the eyelets. I have tacked a row with small sts in pink around the edges. ... for a lovely doll!